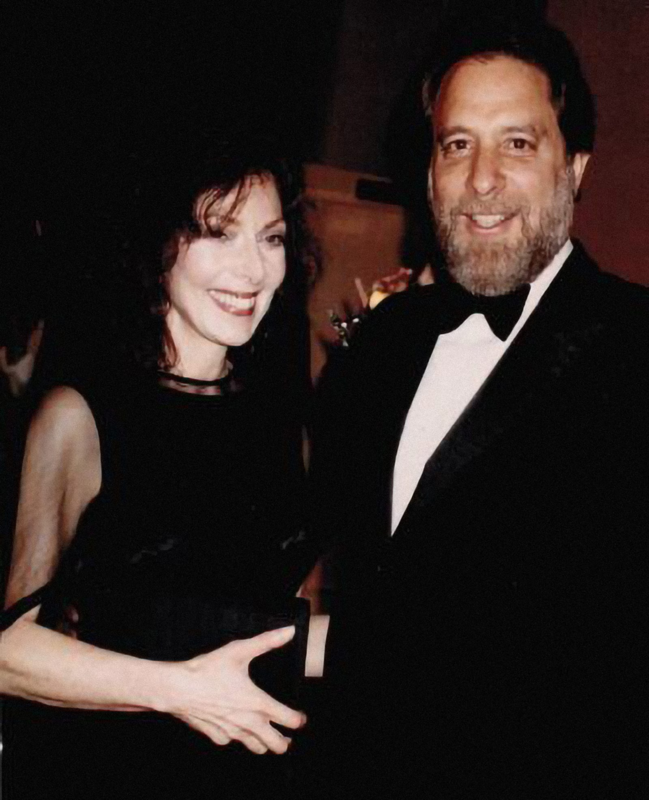 Trailblazer Elaine May altered the landscape of comedy and screenwriting, and in the three films she directed in the 1970s—A New Leaf (1971) , The Heartbreak Kid (1972), and Mikey and Nicky (1976)—she brought a fresh, often uncomfortable perspective to the portrayal of relationships, with a particular focus on the flawed men within them. One of just a few female directors in Hollywood at the time, she homed in on the theme of betrayal and exposed male vanity at its core. 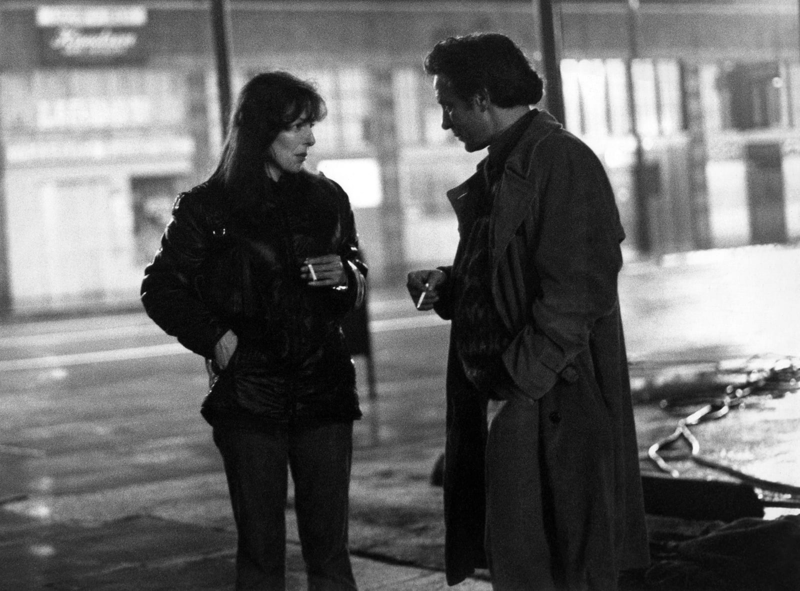 With Mikey and Nicky, she took on some of her darkest material, exposing the toxic masculinity destroying the friendship between two low-level gangsters. It’s taken some time for audiences and critics to catch up with it, but the film’s meticulously crafted script, brilliant performances, and agile camera reveal a singular cinematic vision—one that would emerge again only once, eleven years later, with Ishtar, another film ripe for rediscovery. Here are a few things I learned while producing our recently released edition, which showcases the film in a glorious new restoration. 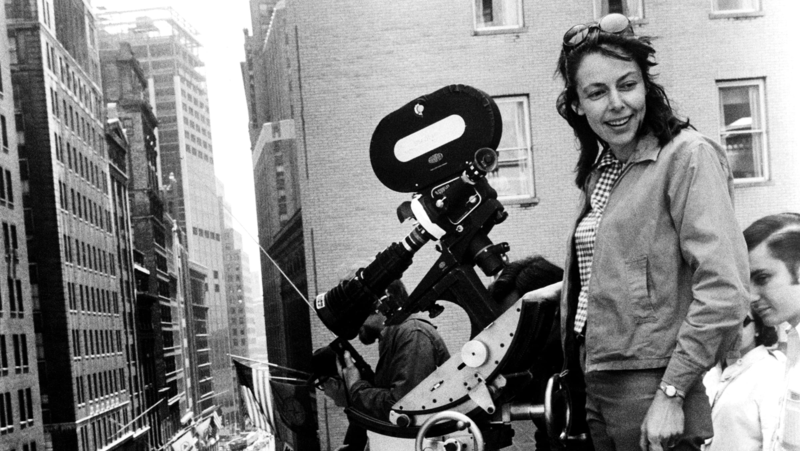 Director Elaine May was only the third woman to be admitted to the Directors Guild of America. Three decades earlier, in the 1930s, Dorothy Arzner was inducted as the DGA’s first female director; Ida Lupino followed, but not until the fifties. Mikey and Nicky was personal for May. She grew up in a mob-connected family, and the film’s characters are based on low-echelon gangsters she knew from that time. In fact, this was a project that she had been thinking about since the 1950s, when she was living in Chicago and working with the improvisational group the Compass Players. 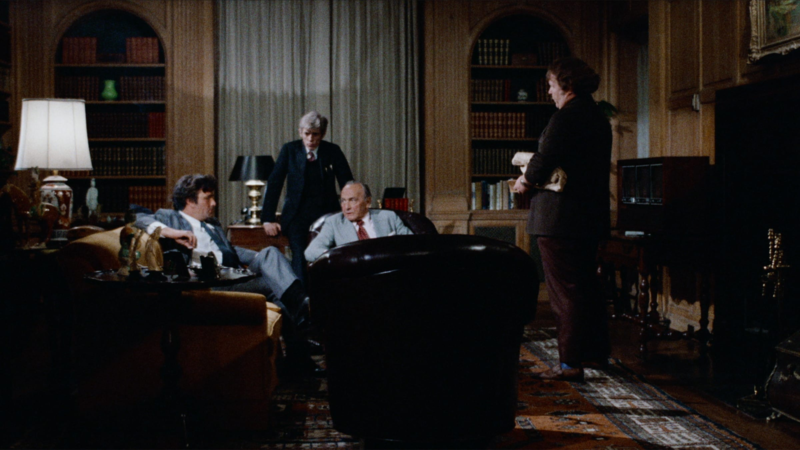 Friends such as Alan Arkin and Mike Nichols remembered scraps of paper strewn around her apartment with references to the title characters. It was her first totally original screenplay. 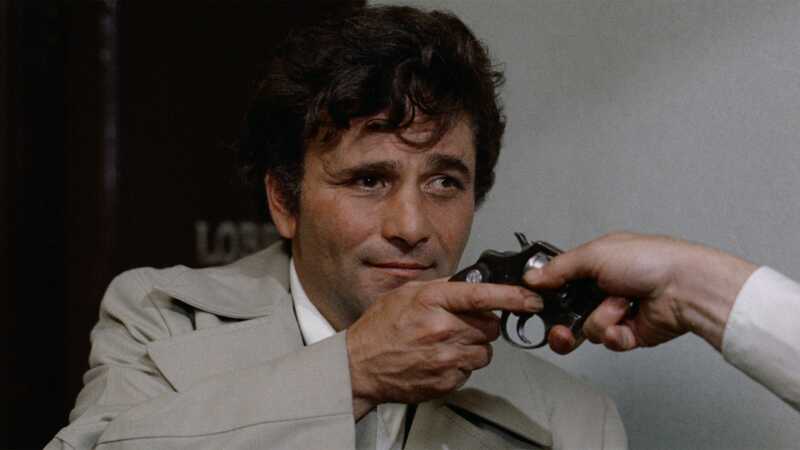 May didn’t always have the pairing of John Cassavetes and Peter Falk in mind. In fact, when casting for the role of Nicky, she had Charles Grodin, whom she had previously cast as a pathetic cad in The Heartbreak Kid, read with Falk. 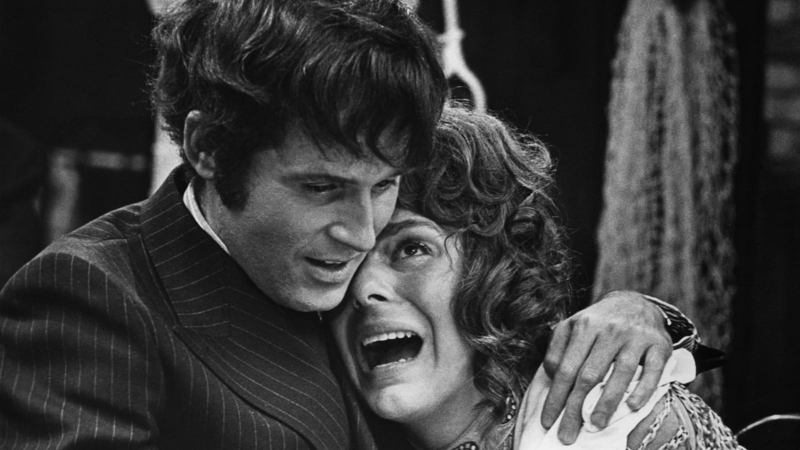 Falk is said to have found Grodin far too menacing to play such a feckless crook. When he ran into Cassavetes at a Celtics-Lakers basketball game, Falk pitched May’s gangster project to him. 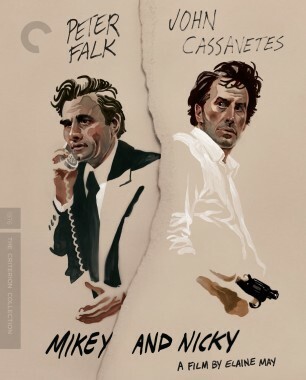 Mikey and Nicky would mark the first time the two would collaborate on-screen, though by the time it was released in theaters in 1976, audiences had already seen their work together in the Cassavetes films Husbands (1970), which starred both of them, and A Woman Under the Influence (1974). May relied on acting community heavyweights to bring her mob bosses to life. Chief among them were Sanford Meisner, creator of the Meisner technique and one of the original members of the Group Theater, and William Hickey, one of the instructors at the influential HB Studio, founded by Uta Hagen and Herbert Berghof. Meisner’s famous protégés included James Caan, Steve McQueen, and Diane Keaton, while Barbara Streisand and George Segal were among Hickey’s celebrated students. 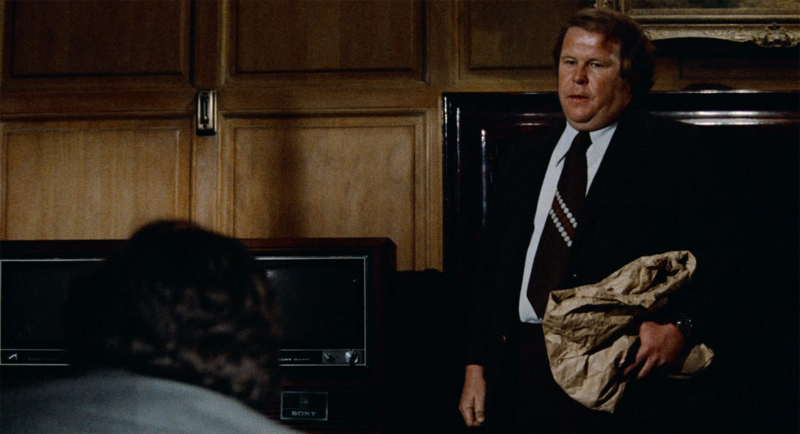 Ned Beatty, playing a contract killer named Warren Kinney, had one sartorial request: he wanted his pants shortened to accentuate the character’s schlubby demeanor. 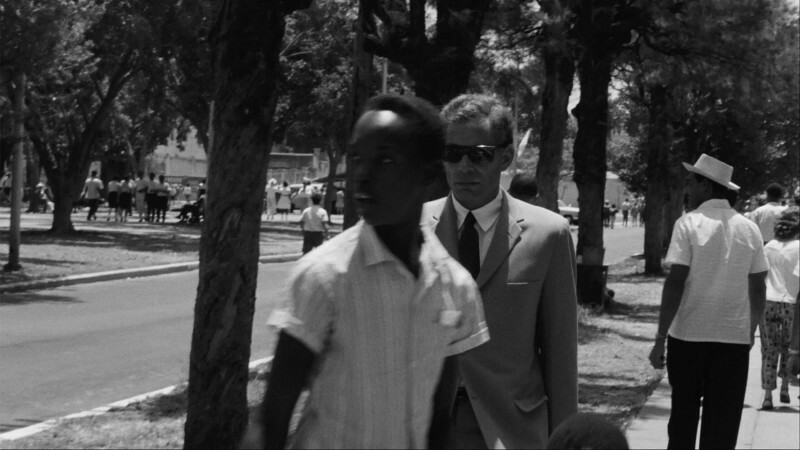 May became legendary for shooting extraordinary amounts of film, and she set a record with Mikey and Nicky, accumulating a million feet of footage. 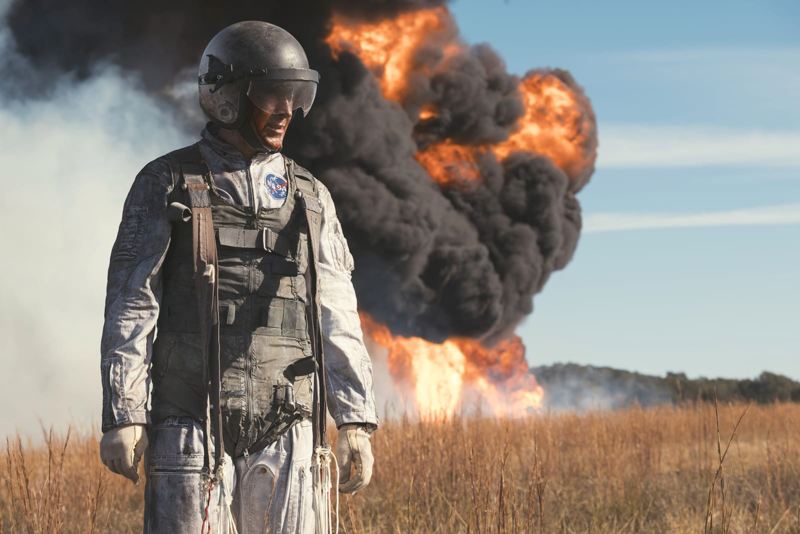 Producer Michael Hausman recounts attending a 2018 screening of Damien Chazelle’s First Man, where the director mentioned shooting well over a million feet of film, breaking May’s record forty years later. For comparison, that’s more than twice the amount of footage shot for the four-hour Gone with the Wind. 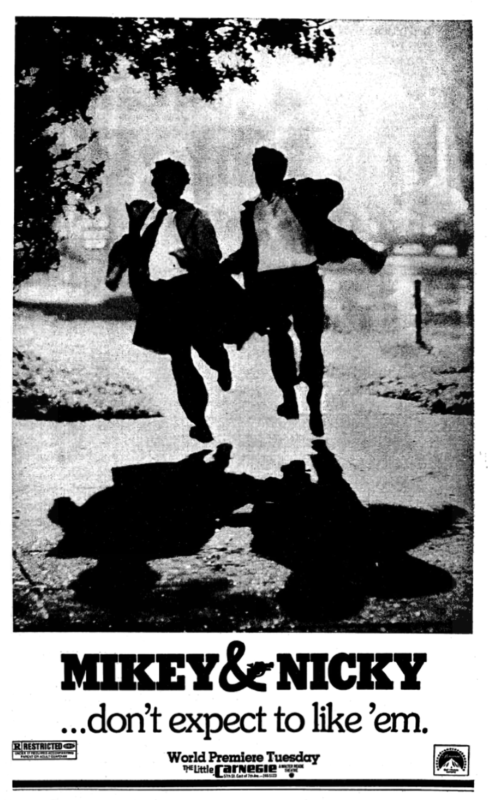 Filmed at night and on location, Mikey and Nicky was the product of an arduous production process. 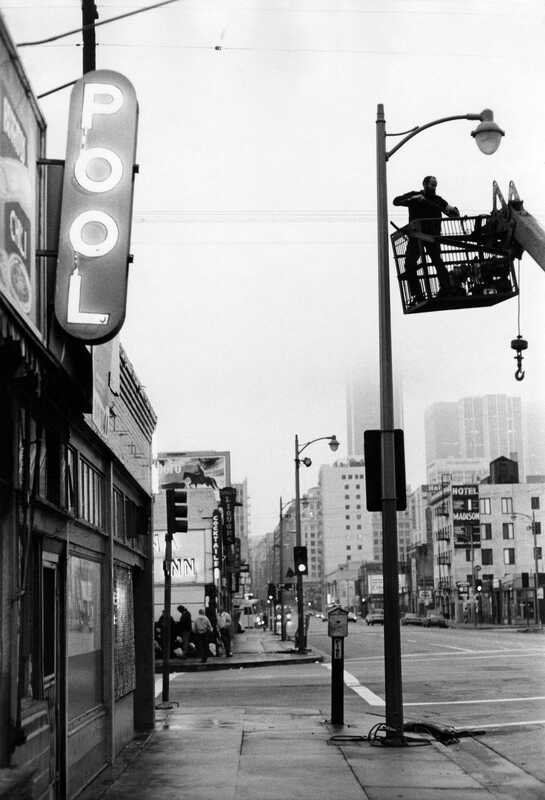 The crew shot sixty days in Philadelphia and was already over-schedule by the time Falk’s Columbo obligations forced the shoot to relocate to Los Angeles, where it continued for sixty more days. 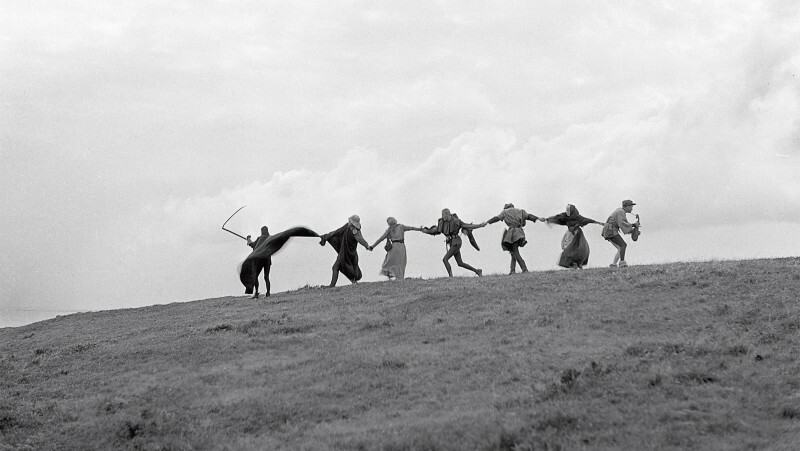 As the editing entered its second year, Paramount sought to take the film away from May. She is purported to have taken two reels of the original camera negative, thus preserving her control over the project. Hausman recalls a visit by police officers looking for the material during this period. Asked if he knew where Mikey and Nicky lived, he pointed to his cats. The film was finally released at the Paris Theater in New York City in December of 1976. Audiences, who had been charmed by May’s comedy routines and her previous two directorial efforts (A New Leaf and The Heartbreak Kid, both comedies), were not prepared for this dark tale of male friendship. The campaign’s tagline, “Don’t expect to like ’em,” didn’t help draw in audiences. The film received some positive reviews, but it suffered commercially. May would not direct another film again until Ishtar, in 1987, which was plagued with its own troubles and negative press. 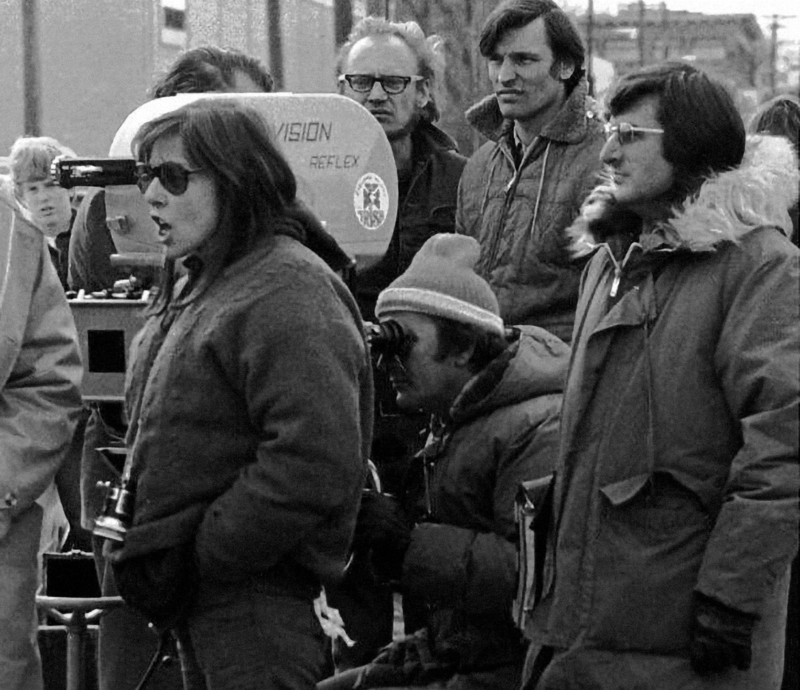 Despite the challenges she faced as a filmmaker, May has since emerged as one of the most revered figures of her generation, with both Mikey and Nicky and Ishtar earning acclaim from critics decades later. 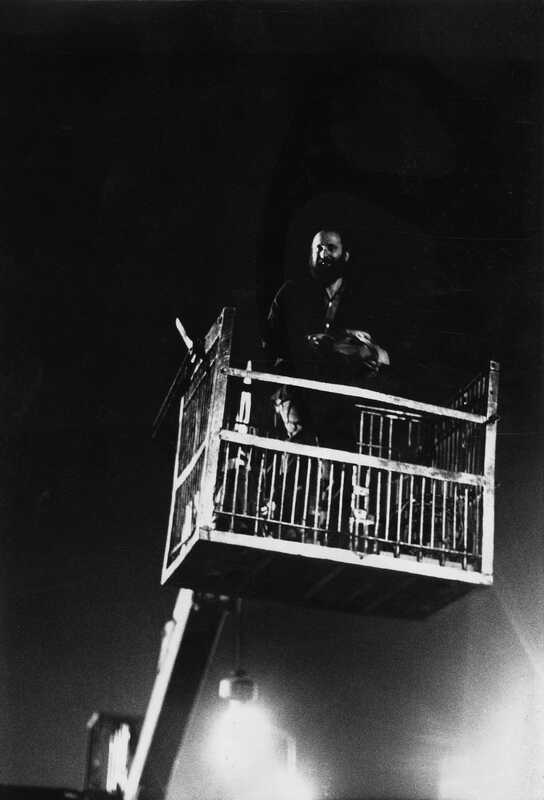 May and producer Julian Schlossberg bought the film from Paramount in 1978 and began working on a re-edit, eliminating around ten minutes from the original theatrical release. 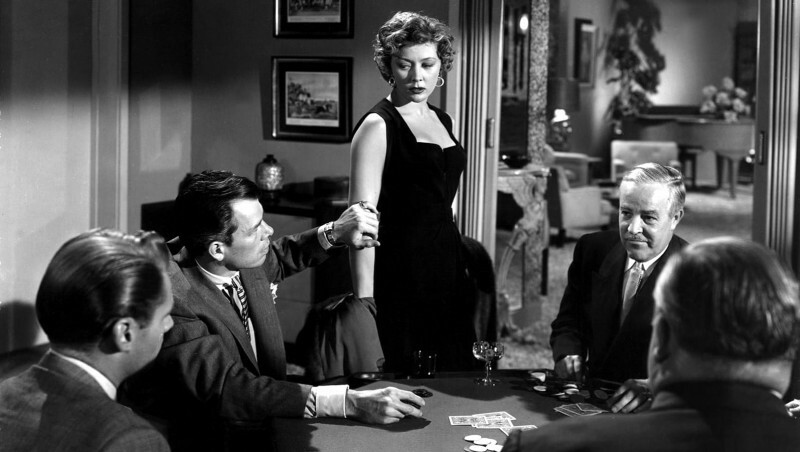 Later that year, the film returned to theaters in this new version. Our edition of Mikey and Nicky marks the first time May and Schlossberg’s edit has been remastered.